What is the biggest pay off you can think of when you think of scuba diving? 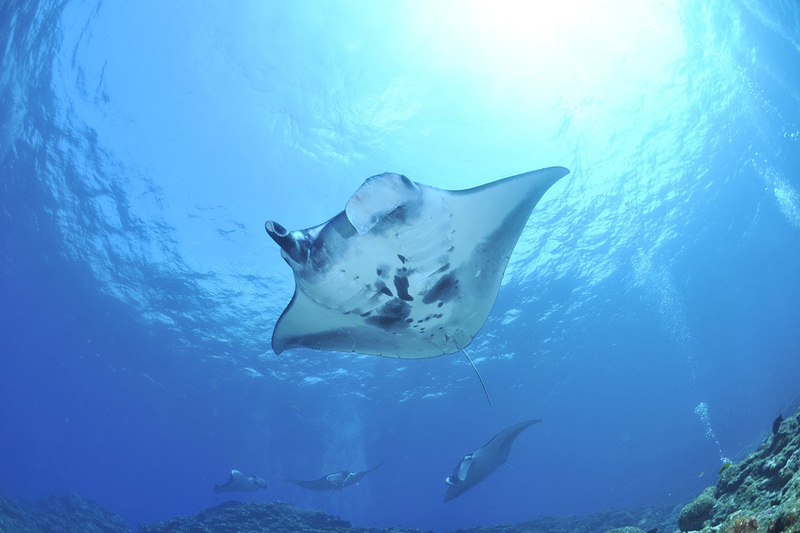 For many divers manta rays are high on their list of marine creatures to encounter. These majestic animals are so large, yet so graceful and peaceful to swim with, there is really nothing like a manta experience. Nusa Penida and Nusa Lembongan are islands around 30 minutes by boat from Lotus Bungalows Candidasa. Many divers and snorkelers visit these islands for the chance to see manta rays as well as reef sharks and nudibranchs. Manta Point at the southwest corner of Nusa Penida is probably the most famous site in the area. Manta rays gather here at the shallow cleaning stations. Although there is no guarantee you will see mantas here, the area is also abundant with blue spotted rays and many nudibranchs. 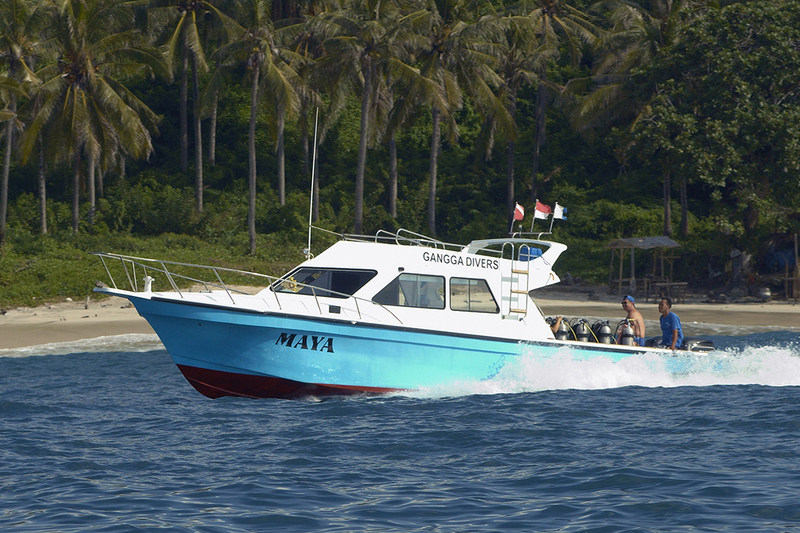 Manta Point is suitable for any level of diver, but the sea can be quite rough. Conditions here can also be unpredictable so the site can’t always be reached. Toyapakeh, Crystal Bay, Jangka Point and Blue Corner are also possible dives in the Nusa Penida/Lembongan area where you may see manta rays. 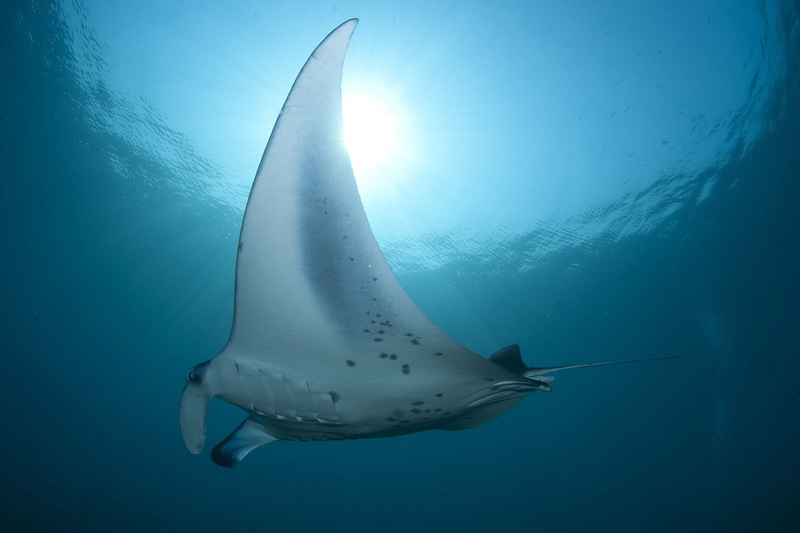 Mantas are gentle and curious creatures and will often come right up to divers to give them a good inspection. If you swim at them or in front of them you will scare them away, so be patient and let them come to you. They often swim or hover above divers, which some people think is because the feeling of the scuba bubbles on their bellies. It may feel like the gentle nipping of some fish. If you keep your movements slow and smooth just like theirs, you’ll be rewarded with their acceptance, and you’ll be able to watch the rays for as long as you like. Is There a Manta Season? Manta rays don’t generally travel long distances, but tend to spend patterns of residency within a certain area. 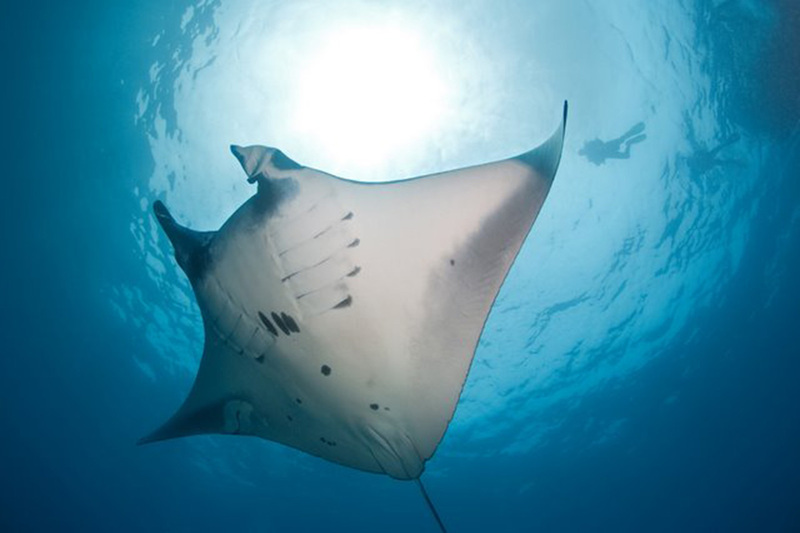 Because of this, you can see mantas at their favorite cleaning stations year round. However, there are better times to dive around Nusa Penida and Nusa Lembongan due to weather conditions. From around November to April the seas are generally calmer and visibility is higher. When the winds pick up during the dry months of the year currents can get very strong and waves much higher. For your best chance of seeing mantas you should also try to get up and in the water early in the morning to beat the crowds. During high season (December-January and June-August) sites like Manta Point can get crowded with divers all wanting to catch a glimpse of manta rays just like you. Gangga Divers at Lotus Bungalows offer dives at Nusa Penida and Nusa Lembongan. You can even dive at most sites in the area as part of your PADI dive certification. Is it your dream to dive with manta rays? Tell us in the comments below what makes mantas so special for you.